After queuing overnight for 12 hours I managed to purchase some really nice Record Store Day 2013 rare releases. 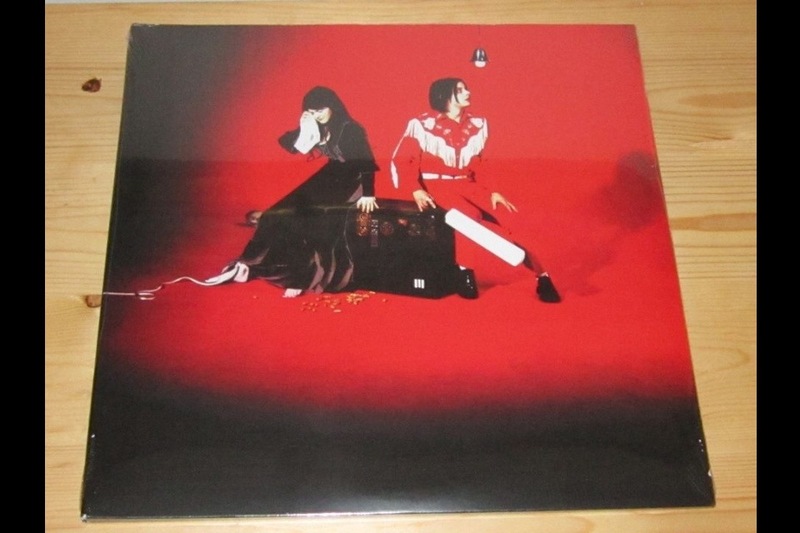 The White Stripes released a 10th Anniversary Edition of their mighty fine album Elephant on double vinyl. 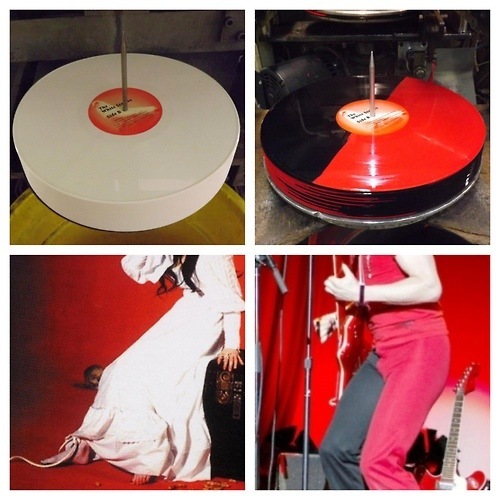 One on white vinyl, the other on split red and black vinyl. 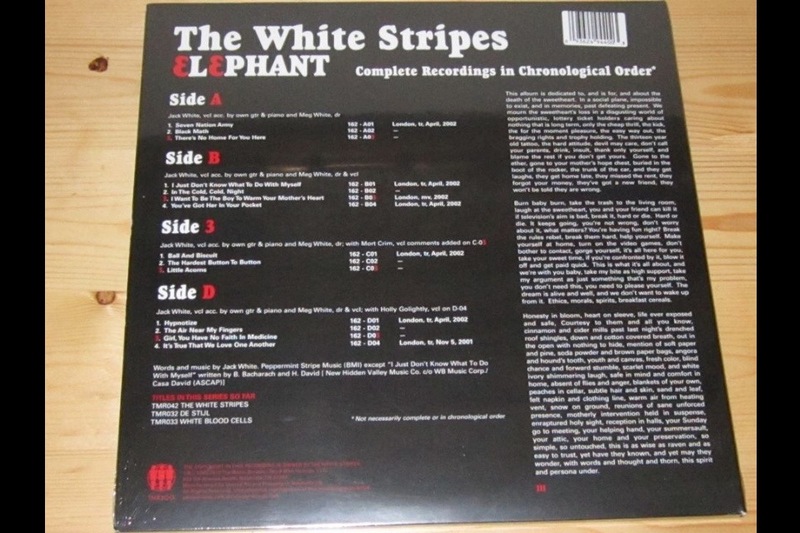 Here is my purchase below, along with a fitting photo of the pressings and an indication of what the vinyl colours represent. Pretty smart.